DETROIT RUNNER....: What shoe do you look forward to? I've tried lots and lots of shoes over the years through purchases and reviews. I've always personally felt that you should run in a shoe that is not only a good fit but for the right purpose. 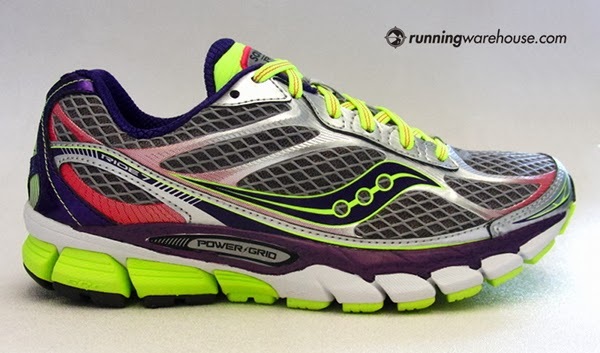 For example, having a road shoe for speed work - I go to the Saucony Kinvara 4's for that. They are neutral and light and I feel fast in them(not that I'm always fast in them). I run in trail specific shoes for the trails and I'm still going through figuring out what I like best but so far it's been the Scarpa Spark. 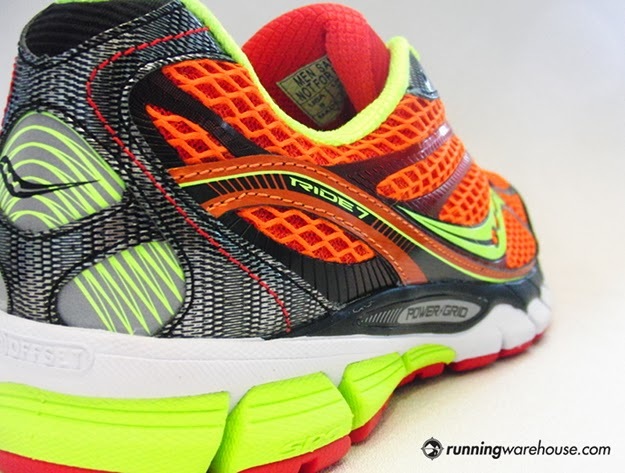 Then there's the everyday, dependable daily trainer and long run, cushioned shoe. My go to shoe for that is the Saucony Ride. I've run in the Ride 2, 3, 4, 5, 6 and the soon to be 7's. I'm so excited to see these come out just as I was excited to see the Ride 6 come out. Here's a couple pictures from Running Warehouse previewing them. Simply awesome. One thing I do like is that Saucony does not change the shoe dramatically. I do have to admit I was a bit worried when they changed the drop from 12mm to 8mm but it worked out. I've only run in one version of the Ride - the Ride 3 - that didn't have that good fit and only bought one pair. All the others I've purchased several pairs and I'll even soon be on my fourth pair of Ride 6's - and they just came out last June! The other thing I've been considering is a well cushioned shoe as another option. It seems that Hoka started the craze but New Balance, Brooks and Altra have also offered some maximum cushioned shoes this year. In fact, I'll be reviewing a pair coming up in April(brand/style to be announced). I've reviewed some of the really minimal shoes with very little cushion and and low as no drop. While I've tried to like them, I can run in them only for several miles depending on the brand. They do have a purpose for me though as they help strengthen my legs like I can't do on other shoe types. It seems that a four millimeter drop is the most minimal that I've been comfortable in for distance but I also have not run in the max cushioned shoes with the low drop either yet. So what are your "go to" shoes? I know you will see me in Ride 7's this summer. New Balance... The MT1010v2 for trail racing, the MT10 for easy trail runs, then on the road I have MR10v2, but for short runs like this morning I run in the MT00 ( a trail shoe, but I wear it on the road) I also have my 5 Fingles of other road runs and when I want to be different I use my Inovates. Nike Pegasus for sure! They've been my best mates for many running years. Isn't it funny how we choose one and wear it for years. All three of us!